JF Engineering is the major Organization in offering Commercial Flat Washer to the clients. Flat Washer is manufactured by utilizing the supreme quality material under the supervision of experienced team at as per national and international market standards. This product is stringently checked by the quality auditors on well defined parameters. 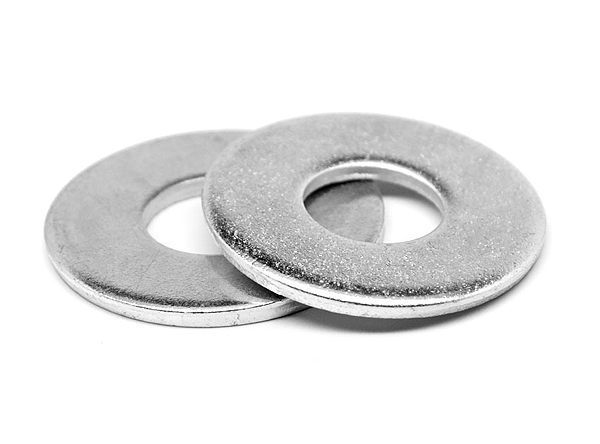 Commercial Flat Washers provide a smooth bearing Commercial Flat Washers surface under the head of a bolt or nut. They are unhardened and intended for general usage. Flat washer spread the load generated by tightening a bolt or nut over a large area. It protects the surface of the item from being damaged by the bolt or nut. Moreover, it prevents loosening because of the larger bearing surface when using a flat washer. - High quality competitive price; superior anti-corrosion properties.